Member of K-pop group "2AM". meth Feb 19 2018 10:59 pm I am watching 'Marriage, not dating'. I really really like Jinwoon and he is very familiar to me. I thought I have seen him in another drama. Today only I realised that only this drama of him I have watched. I am confused, where I have seen him, he looks super familiar to me. I love your smile. You are a good actor Jinwoon. I agree with everyone else, you need to be in more dramas. So Seo Jin Feb 12 2017 10:31 am He needs to be in more dramas!!! Jinwoon comeback pls! Sarahann_that.one.kpop.lover Dec 21 2016 12:49 am I am soooo obsessed with him. I fell in love with his smile and he is so cute in "Dream High 2" and "Marriage, Not Dating". He really needs to be in more dramas. I legit would want to marry him if it was possible. ??? Julie Dec 03 2016 2:34 am He needs to do more dramas. What a cutie. kpopkitty Apr 06 2016 12:21 pm God, how I adore this man. Great acting, and his smile. Omg, how he smiles adorably, and his eyes smile as well. I only wish he were in more dramas and movies. Pamela Makonde Mar 08 2016 8:06 pm I have ever watched "marriage, not dating" jin woon had a nice smile... I really really like his acting tactics! christina Feb 22 2016 11:54 pm Watched him in Marriage not dating for the first time. Was saying to myself why such a insignificant part for a guy that good looking. Wonder what he likes best, singing or acting...I hope he'll do a period drama soon like a naive prince that kind...and then matured after much difficulties.... He has LOTS of very good photos, can somebody change this one here? Winda Altra Feb 11 2016 10:16 am Talking about a very cute smile.... he has it! anonymousylweird May 04 2015 4:04 am coolness overload! Jay-R L. Liwanagan Apr 30 2015 10:28 am No wonder you are good with your craft. I was hooked with your acting prowess in Marriage Not Dating drama series. You have given your role a justice- with right amount of emotions and gestures together- it was a thumbs-up! Who would thought friendly character is your true nature. Keep smiling, it is blessings to others- keep inspiring... God bless! Angie Jul 14 2014 2:11 pm You are amazing Jin Woon! Your acting is perfect your voice is beautiful, you are like handsome x's a million. I started following you since I fell in love with 2am and then I heard your solo rock songs and love u even more. You're really such a talented guy and im so lucky to have met you and held hands with you. Every time I see you in a drama or listen to 2am I freak out when I remember the day I won the Hi-Touch session... :) keep making amazing music and shows! I hope to get to see you sing live again! Lizzy Jul 10 2014 4:07 pm My future husband xp loool But srsly this guy is super hot, has a good voice, has a cute smile, has a the nicest body that I've ever seen and he is a good actor. I really want to get to know him the more and see his true self ! AND I really really want him to make a good ending melodrama with IU <3 or any older good female actor PLEAASEE !! Anyway fighting oppa ! Monikacz Jul 07 2014 3:39 pm Jinwoon and Kang Sora. My dream couple. They are good friends in real life and they had great chemistry in Dream High. I wish they played together a couple in love drama. dadz Jun 06 2014 6:01 am .. . . .he looks like jung gyu woon . ...hokshi, are they siblings? . .. i think it also makes sense . . . . . .jung jin woon and jung gyu woon . .right? dadz Dec 24 2013 4:59 am . . .2 AM my favorite k-pop boy group . . . i really hope that jinwoon would film a drama or a movie together with MISS A's Bae Suzy . . . . . . . . .. . .
Amy Self(Frenchie) Oct 29 2013 8:57 pm You are really cute and I might love to meet you one day! Maybe! Anyways, I hope you will one day make more movies but I loved you on Dream High 2! You were awesome! In fact, you kinda remind of my boyfriend and I wonder if you're like that in real life? KZ Aug 25 2012 11:54 pm Favorite member from 2AM. Hope he acts in more dramas. They should have showcased him more in Dream High 2. He was a stronger actor then JB(personal opinon). fhine Jul 18 2012 2:45 am G minor!!!! handsome!! foorogh Jul 03 2012 10:43 am hi.I love you sooooooooooo much. take care of yourself. CKathyleen14 May 30 2012 3:14 am He is so Handsome!!! sarahaeyo! oz Apr 18 2012 8:19 pm 진 운니……….. 사랑해요………. 누나 너 너모 너모 저해요………… Jinwonnie....,,hwaiting!! kim soo rim Apr 14 2012 10:59 am DAMN!!!! UR ACT SO GOOD!!! deppz Apr 09 2012 8:38 am G miiinnoooorrrrrrrr., DAEBAK!! -_-' Mar 19 2012 11:58 pm why his character fell in love with kang so ra's character!! Tiff Mar 07 2012 3:04 pm >:D I REALLY LIKED HIM ALOT! I Lurve Dream High 2 ^^ aja! ys11 Feb 26 2012 5:39 pm who said that his ugly..please check out your face 1st b4 u complaint the other..to me..he's handsome..acting good ,singing,and talented...i love 2pm ...btw i love 2am also...DREAM HIGH 2 fighting!!!!!!!!!!!!!! Kiay Feb 18 2012 2:53 am jinwoon is a great actor and a great singer. I love him!!! WoojungLover Feb 11 2012 8:16 am Jin-woon's acting is very good. 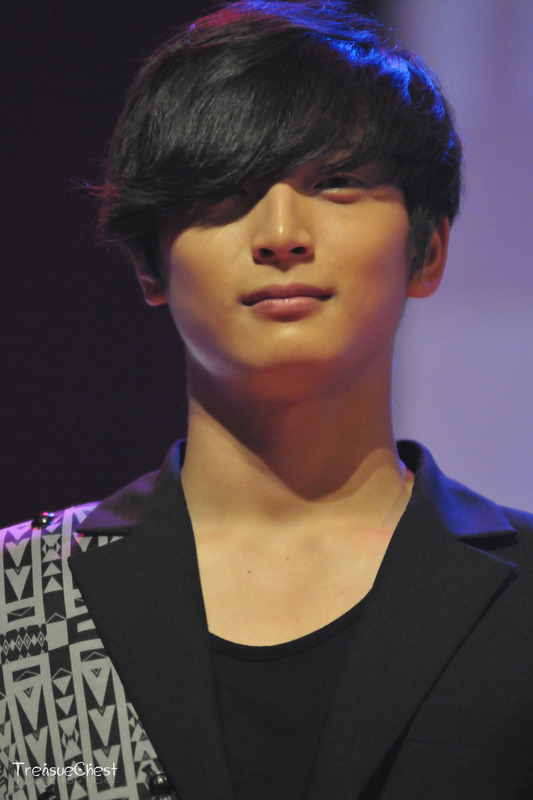 Jin-woon DAEBAK....!!! gamey Feb 10 2012 6:32 pm Dream high 1 is far better than Dream high 2 regarding story line, script, actors and actress. a.okcat Feb 09 2012 4:47 pm and btw JINWOON IS SO HOT IN DH! a.okcat Feb 09 2012 4:46 pm at first i was like yeeii dream high 2 and jinwoon in it <3.. then when i saw the plot i was like .... hmmm .. it's kind of wierd. but just for jinwoon <3 ... and after the second episode or third you just get into it ! it's actually very different than dh1 and wierd but it's starting to get interesting :D ... can't wait to see more cameos from season 1!! viri Feb 04 2012 8:49 am so cute.... i love his acting in DH 2. Raindasy Feb 02 2012 5:21 pm I've seen Dream High and it was awesome, now I'm watching #2 and I have been surprised at how good it has been so far...Jinwoon is very good and can't wait to watch the rest of it!! 121aznt Feb 02 2012 7:07 am I've watched Dream high 1 and 2, and from what i can see, Jinwoo's acting is a lot better than most of the idol cast from Dream high 1 (minus Eunjung of course). chokyu_lurveiem Feb 01 2012 11:38 pm Dream High 1 is good...Dream High 2 is also good.. To the haters...give a chance to the cast... they will try their best.. HWAITING!! Anti-haters Feb 01 2012 12:56 pm To all haters, please buy your own dream high 1 DVDs so that you can repeat play all you want. Move on. Let others shine..jinwoonie is awesome, talented and a fellow brother to 2PM. oneday love y'all. aiuyt Jan 30 2012 4:18 am fighting!!!!!!!!!!!! aiuyt Jan 30 2012 4:17 am i hate him!!!!! !why does it need to be 2am???? ?2pm is wayy~~better! !wooyoung and taecyeon!!!!!!!! 2PM Jan 13 2012 8:11 am Why 2am?? Should be 2PM guys!!! I really don't want to watch dream high 2!!!!!!! Wooyoung oppa!!! sarahaeyo!!!! Jaeson I love u!!! misbah Nov 27 2011 2:30 am eeuu!!!!!!!!! he is so ugly!